Tell you their name, rank, command and the reason they are interrupting your day. At the end of those interactions, if they have not given you a summons or arrested you, they should give you a business card that has their name, rank, and badge number, and their command. If they suspect you are involved in criminal activity, including if you are stopped. These bills were first introduced in the City Council in 2012, as part of the Community Safety Act package. 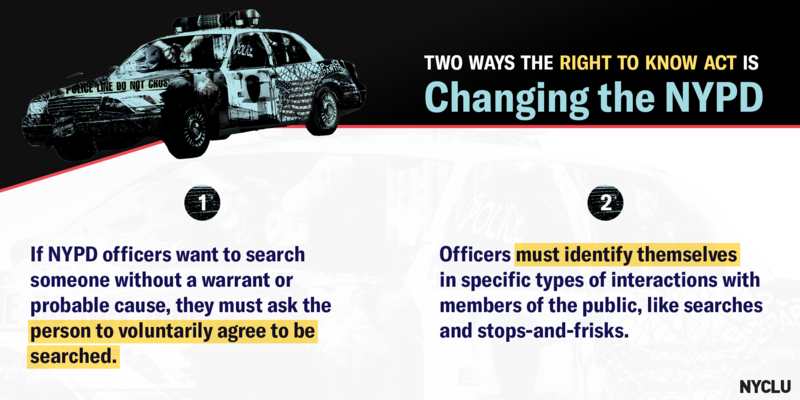 They were re-introduced in the City Council in 2014, as the Right to Know Act to help end unconstitutional searches and to increase transparency and accountability in many of the most commonly abusive police interactions that New Yorkers face. The overarching goal of these bills was to decrease unecessary and abusive NYPD interactions experienced by New Yorkers. 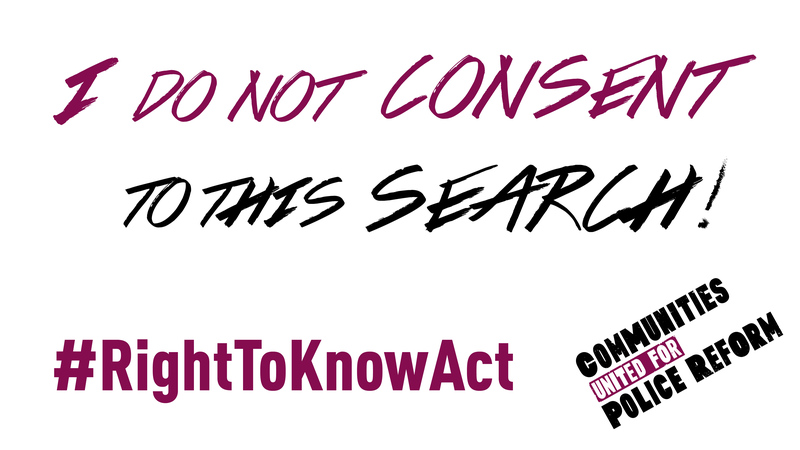 The Right to Know Act Coalition, coordinated by Communities United for Police Reform (CPR), includes 200+ local and national organizations – spanning grassroots community organizing groups, legal and policy organizations, faith institutions and more. New Yorkers directly impacted by abusive and discriminatory policing led the charge to advance the passage of these critical reforms. The 2017 passage of the consent to search law was a major victory and has been widely praised because it protects the rights of New Yorkers to refuse police searches that aren’t covered by warrants or probable cause. But the final version of the NYPD identification bill passed into law sharply criticized by police reform advocates, universally opposed by the 200+ groups in Right to Know Act Coalition, and opposed by numerous Council Members and other elected officials, because of numerous carve-outs and exclusions that can risk increased harm to community members in certain interactions, if they are not fully aware of the law’s specifics. 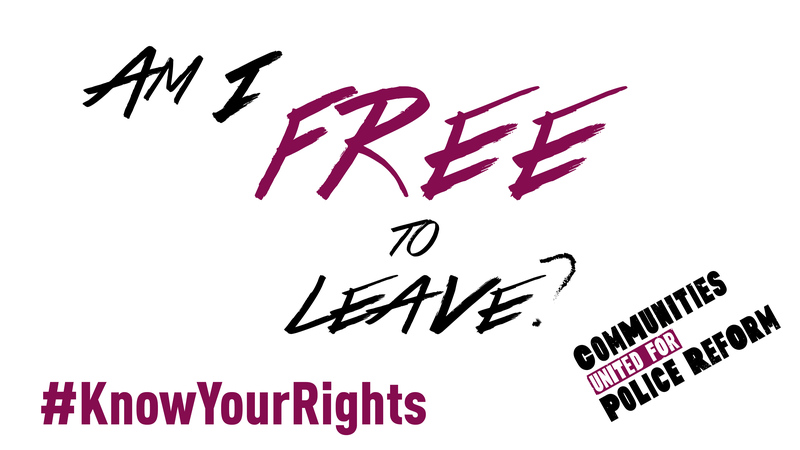 Now that the Right To Know Act laws have gone into effect as of October 19, 2018, CPR and Right To Know Act coalition members are incorporating education on the laws in Know Your Rights trainings, Cop Watch patrols, and other activities – to ensure that New Yorkers know their rights, realities and responsibilities with changes to the law. On October 19th, the Right to Know Act (RTKA) was implemented as New York City law. 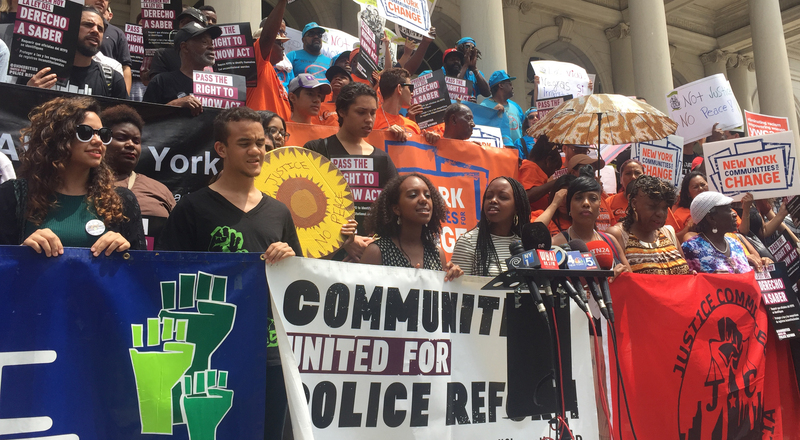 This is a huge win for New Yorkers, especially the most impacted community members – those who are working class, undocumented, and face regular police abuse. 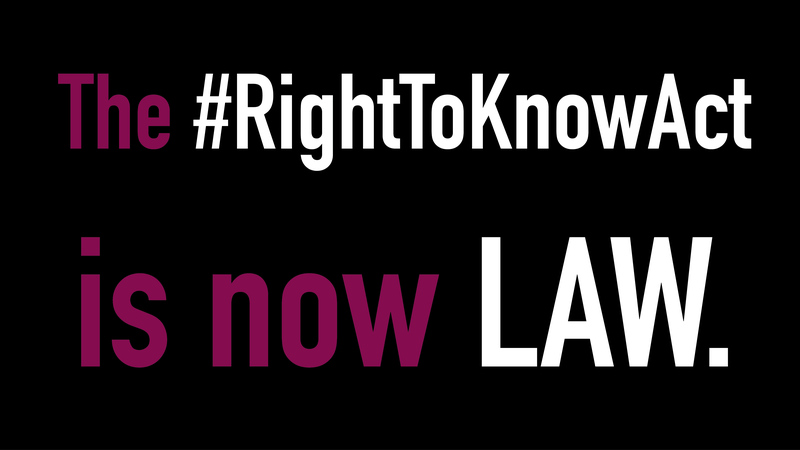 Read more about Right to Know Is Now the Law. Here’s What That Means. Over 200+ organizations and thousands of New Yorkers, including many families of NYers killed by NYPD, joined together to win passage of the Right To Know Act in 2017.